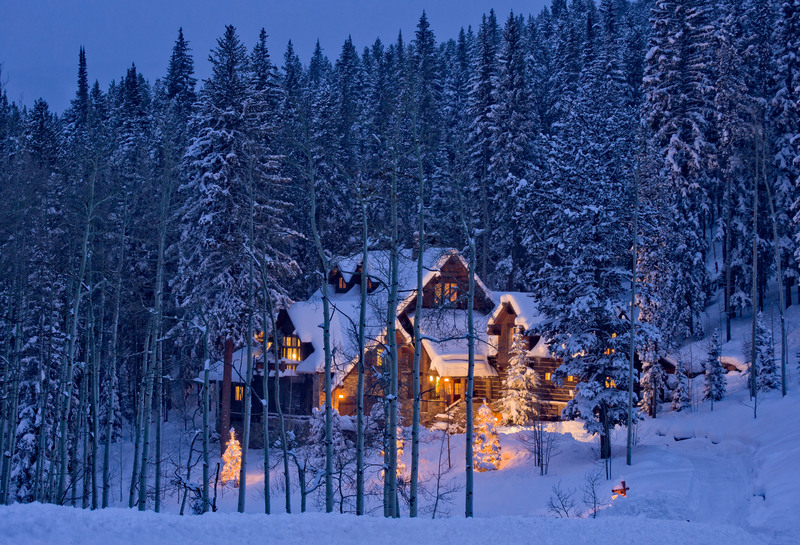 Glowing Luxury Log Cabin Home in Winter with Fresh Snow. Mountain trophy home nestled in the forest with pine trees and fresh winter snow. Shot at dusk with blue ambient light and warm glowing lights from within. ProPhoto RGB.